2019 Jetta S Manual Transmission VIN: KM161416, MSRP: $20,025. Offer requires $0 down payment, $0 first month’s payment, $0 security deposit. Tax, tag, title, $20 third-party tag agency, $299 electronic filing fee, $675 acquisition fee, and $899 dealer fee due at lease signing. Monthly payment is plus tax. Based on a 39-month lease with 7,500 miles per year. Limited availability at this price. Must qualify for all applicable rebates. Offer valid with approved credit through VW Credit, Inc. Offer cannot be combined with any other offer, sale, promotion or advertisement. Picture for illustration purpose only. See Gunther Volkswagen for complete details. Offer expires April 30, 2019. 2019 Passat Wolfsburg Edition VIN: KC001450, MSRP: $27,190. Offer requires $0 down payment, $0 first month’s payment, $0 security deposit. Tax, tag, title, $20 third-party tag agency, $299 electronic filing fee, $675 acquisition fee, and $899 dealer fee due at lease signing. Monthly payment is plus tax. Based on a 39-month lease with 7,500 miles per year. Limited availability at this price. Must qualify for all applicable rebates. Offer valid with approved credit through VW Credit, Inc. Offer cannot be combined with any other offer, sale, promotion or advertisement. Picture for illustration purpose only. See Gunther Volkswagen for complete details. Offer expires April 30, 2019. 2019 Tiguan S VIN: KM074776, MSRP: $25,375. Offer requires $0 down payment, $0 first month’s payment, $0 security deposit. Tax, tag, title, $20 third-party tag agency, $299 electronic filing fee, $675 acquisition fee, and $899 dealer fee due at lease signing. Monthly payment is plus tax. Based on a 39-month lease with 7,500 miles per year. Limited availability at this price. Must qualify for all applicable rebates. Offer valid with approved credit through VW Credit, Inc. Offer cannot be combined with any other offer, sale, promotion or advertisement. Picture for illustration purpose only. See Gunther Volkswagen for complete details. Offer expires April 30, 2019. 2019 Atlas SE V6 with Technology VIN: KC516262, MSRP: $39,825. Offer requires $0 down payment, $0 first month’s payment, $0 security deposit. Tax, tag, title, $20 third-party tag agency, $299 electronic filing fee, $675 acquisition fee, and $899 dealer fee due at lease signing. Monthly payment is plus tax. Based on a 39-month lease with 7,500 miles per year. Limited availability at this price. Must qualify for all applicable rebates. Offer valid with approved credit through VW Credit, Inc. Offer cannot be combined with any other offer, sale, promotion or advertisement. Picture for illustration purpose only. See Gunther Volkswagen for complete details. Offer expires April 30, 2019. Gunther Volkswagen offers the best service in the area. We handle a range of repair and maintenance jobs at our dealership, thanks to our expert technicians and latest equipment. Our Fort Lauderdale Volkswagen service center also offers premium oil change and more for our customers. 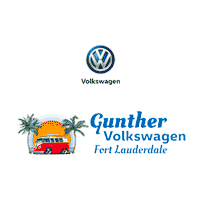 Thank you for visiting Gunther Volkswagen, your local Fort Lauderdale dealership, serving Davie and Plantation. We carry a full lineup of new vehicles that you want to drive in South Florida. Located at 1660 S State Road 7 in Fort Lauderdale, our dealership is where the deals are at. Stop by and visit us to check out our extensive vehicle inventory. We are also happy to serve Miami Volkswagen shoppers at our dealership. Are you in the market for a new vehicle? 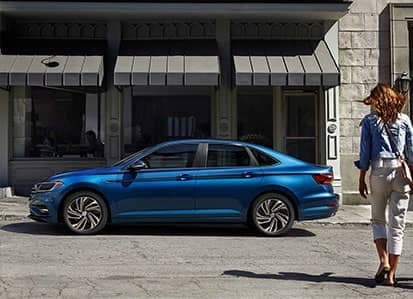 Drive on up to Gunther Volkswagen of Ft. Lauderdale and take advantage of our great selection and pricing on new models like the Passat, or Golf. From the fun-to-drive Beetle Convertible to the family-friendly Touareg, we’re certain that we’ll have a vehicle that’s right for you here at Gunther Volkswagen. Apply for financing and schedule your test drive in a new car or SUV near Davie and Plantation here in Fort Lauderdale. We are always endeavoring to provide a pleasant customer experience at your Miami Volkswagen dealer alternative. So if you have any questions about our inventory or services, feel free to contact us and we will be happy to assist. Looking for a great deal on a used Volkswagen in Fort Lauderdale? Are you researching your options when it comes to used cars near Miami? Gunther Volkswagen of Ft. Lauderdale features a great selection of high quality used vehicles for you to choose from. Whether it’s a used vehicle in Plantation or perhaps a used SUV near Davie, take a moment and browse our inventory. Chances are you’ll find a great used vehicle at a price you’ll love, at your Miami Volkswagen dealer alternative. For all the service and repair needs of your vehicle, you can count on our service department at Gunther Volkswagen of Ft. Lauderdale to take good care of it. Miami Volkswagen owners can be rest assured as our team of highly trained technicians can do it all, from major engine repairs to routine work such as oil changes and installing new tires. Schedule your servicing appointment online to save time. Should you need auto components near Miami, our parts department is fully stocked to accommodate your needs. For all things related to this make, you can count on Gunther Volkswagen in South Florida. Aleks was great. I had to have my 2018 Tiguan towed in to have my tire replaced and he kept in contact with me throughout the day. He gave me his direct number which made reaching him super easy - we even texted at one point. He checked in with me at end of day to let me know he was leaving and all services were completed. I'm very happy with the service and the personal touch and will always call him directly for any service related issues. The staff has been great including my previous rep Chris (?) and Mr. Ovalsky has been great. Thank you.